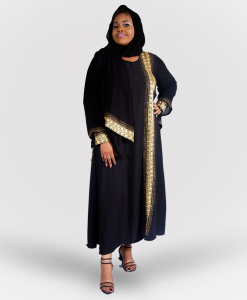 Abaya is a fashion piece that is commonly worn by Muslim women. It is designed to cover the entire body of a woman except the head, hand s and feets. This piece is fit for several occasions. Traditionally, Abayas are black and full length dress. Modern day Abayas are stylish and adopt vibrant colours because of this, the abayas are available in various styles. 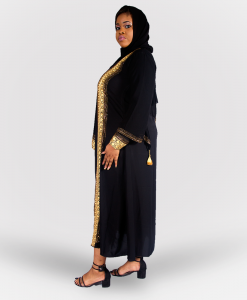 Closed Abaya– This is the traditional Abaya. Simple and as the name suggest is closed and easy to wear. This type of Abaya doesn’t feature any button. It can be worn from up- downward. Usually, leggings are worn underneath it. 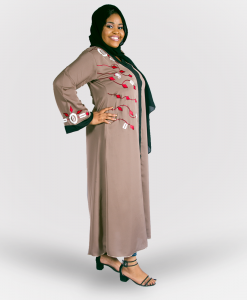 Abaya Cardi– This type of Abaya is similar to the closed Abaya. The slight difference is that this type is worn with a belt or a sash. 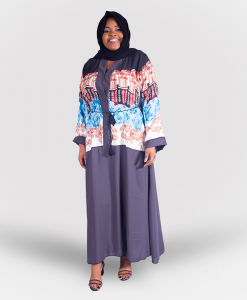 Open Button Abaya– From the name, there are buttons on the front line of the Abaya which makes it easy for one to open or close the abaya. Kimono Abaya – It’s no news that the kimono is a Japanese dress. However, the kimono style Abaya has become popular among modest women. 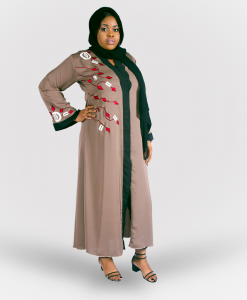 Pair this type of Abaya with a sash or belt and you are ready to steal the day. 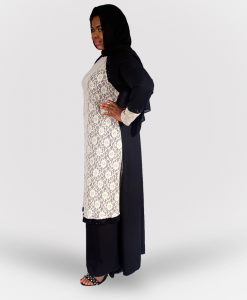 Two-piece Abaya– The two-piece Abaya is the favourite among modest women. It can be styles like the traditional Abaya or like the Abaya Cardi. 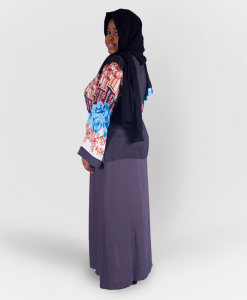 The inner is usually sewn together with the Abaya, it’s sometimes have a colourful inners. This type of Abaya is easy to slip into. Draped Abaya– This style is inspired by Grecian gowns which are usually draped. This fashionable and classy piece is usually comfortable to wear, and often made of soft and flowy fabrics. This type of Abaya adds a unique touch to your entire look. It is definitely an occasion Abaya. Poly Crepe – Fully called Polyester crepe. It refers to both the material and the weave of the fabric. 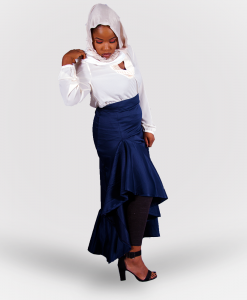 The poly crepe Abaya fabric has a matte finish and can easily be draped. It is advisable to go for the lightweight fabric or medium weight one. Lexus– This is the most wearable Abaya fabric in the Abaya fashion industry. This material is light, comfortable and elegant. 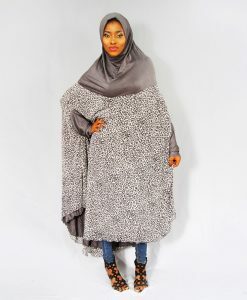 If you are looking for something soft, smooth and comfortable, Abaya made of this fabric should be an excellent choice. Nidha– The Nidha is extra soft and luxurious, expensive abayas are usually made from the Nidha fabric. 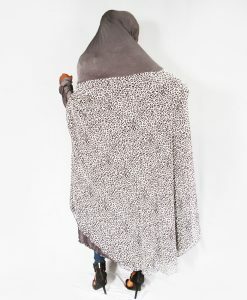 This fabric is available in different quality. Usually, the quality determines the price. Internet– This type of material is thick, slippery to touch and have a shining overtone. Other fabric types are Jersey, Pebble Poly crepe, Satin and Chiffon. Abaya is a must have in any Muslimah's wardrobe. It is a comfortable and flexible piece that no woman should go without. 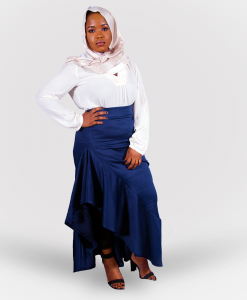 If you are looking to buy quality and stylish Abaya online, make Habeebat your go-to store for quality and show-stopping abayas. We offer a vast collection of Abaya dress in the latest designs and styles for modest women from casual abayas to occasion wear abayas.